Whether its Warsaw or Wroclaw, getting a car transported to Poland can be a complicated affair, but with a bit of forethought and planning you can get your vehicle there safely. There are a few options open to you when it comes to getting car transport to Poland, you can drive it yourself or hire a professional car transportation service. Documents: When you’re transporting a car to Poland you will need proof of ownership and registration documents, proof of insurance and the bull of sale. You can only import a car that is registered to the current owner. Wash and inspect: Washing your car will let you notice any damage that is already on it as well as protect it from dust-related damage during transport. Running: If you are moving an older model then this is very important, you need to makes sure the car is roadworthy as this will dictate which car transport methods are open to you. Taxation: If you’re a citizen of the EU then importing a car to Poland won’t impose extra duties or import taxes, although new cars less than 6 months old are not exempt from taxes. Road tax in Poland doesn’t come in the form of a tax disc, rather it’s added onto the price of fuel so your UK discs may only be useful as coasters. Additional considerations:you are not permitted to sell, loan or rent your car for 12 months after its importation. There are a couple of methods of car transport to Poland, and the first thing you need to decide is whether you are going to drive it or hire a car transporter. DIY: Maybe the most enjoyable way to transport your car to Poland is to drive it there. This can cost a lot in fuel, but you can make an enjoyable trip of it. Trade Plate Driver: If you need to import a car to Poland then you can hire a driver to bring your car to you. This is useful if you’re participating in an online car auction, but can be slightly tricky to arrange when there is shipping involved. Single Trailer: If you’re importing a non-runner or an antique car then you might wish to transport it on an individual trailer. This can be the safest method of car transport if using a covered trailer, it is also the most expensive however. Multiple Car Transport: Transporting your car with a large commercial style transporter is often the cheapest method of importing an automobile. Bear in mind that these larger vehicles cannot offer a door-to-door delivery service for your car. Shipping: If coming from the UK then your car will need to travel by ship at some point (unless you intend it to be flown there!) You have two options, container shipping or Roll-on Roll-off. Ro-Ro services are exactly what they sound like, you drive the car onto the ship and drive it off again. When arranging a car transporter, make sure that you arrange pick up and collection points explicitly to avoid confusion. Different services will operate different policies, so ensure that you discuss the move thoroughly with any prospective firms. Insurance: International car transporters should have comprehensive insurance cover, make sure that they have a policy that covers all the possible angles. 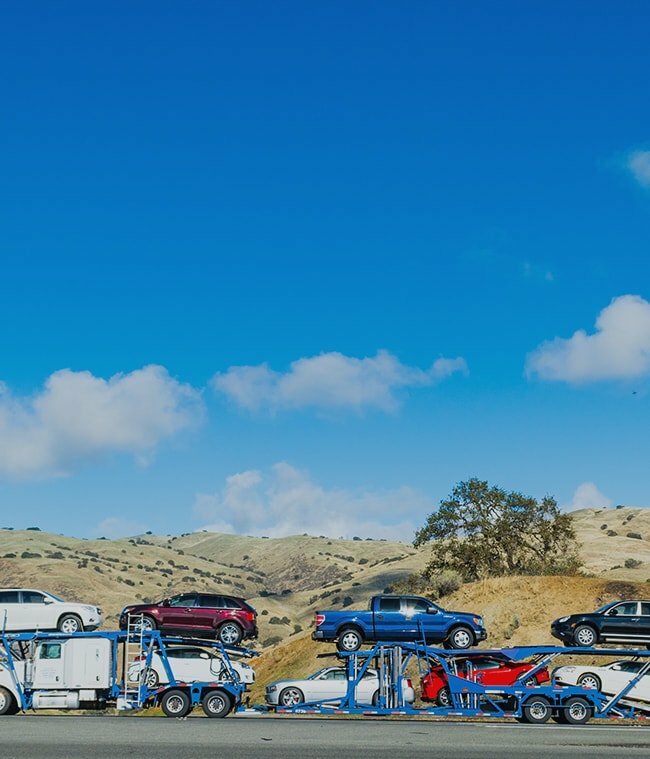 Association: Not essential, but if the car transporter is a member of a professional organisation such as The Association of European Vehicle Logistics then you can be assured of a higher level of service. If you can’t drive your car to Poland yourself, or are already a resident that needs an import, then finding a car transporter to move your motor can be long-winded. Finding car transport quotes to Poland means searching many web pages and phoning up for lots of estimates. With Shiply though, car transporters can come to you! When you need Polish car transport all you need to do is list the details of your move on Shiply, where it’s going & when you need it moved. Available transporters can then offer their transport estimates and will compete to carry out your car delivery. You can compare car delivery to Poland services on price as well as feedback accrued from other jobs they’ve completed on Shiply. Check the car’s mileage; this should correspond to the distances from origin to port to destination (plus a little leeway). Inspect the car to make sure that it has not been scratched or otherwise damaged during transportation. If you find any issues then you should notify the driver immediately, who should be staying around for the post-transit checks if they came over to Poland with the car. - If you’re relocating to Poland then you should register and tax your vehicle properly. - Tell the DVLA you’re moving – you need a certificate of export. Once your car move is sorted out and you’re free to cruise around Poland, please remember to come back to Shiply and leave feedback for the service you used. Feedback helps make our site a better experience for all users.